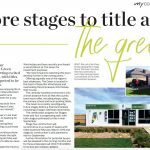 Stage three and four purchasers at The Green Winchelsea are getting excited and eager to build, with titles for both stages expected to be issued next month. 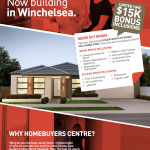 A very warm welcome to Homebuyers Centre, who are now building in Winchelsea and are offering $15,000 worth of bonus inclusions FREE! 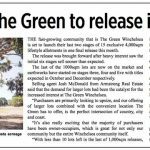 The Green Winchelsea is rapidly shifting from a subdivision to a vibrant community with stages one to six now sold out! 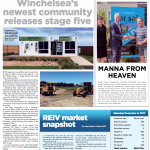 The fast-growing community that is The Green Winchelsea is set to launch their last two stages of 15 exclusive 4,000sqm lifestyle allotments in one final release this month. Well that was fun! What a great night at our community Christmas barbecue. It’s fantastic to see The Green growing so quickly and residents getting to know each other. 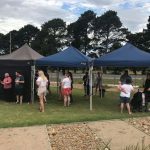 Thanks to Steampacket Foods for the catering and Bendigo Bank Winchelsea for providing the barbecue. 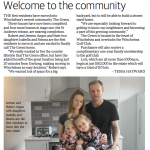 Thanks to the Surf Coast Times for the write up! 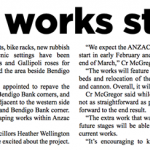 Stage 5 has been released and earthworks are underway for Stage 3 with Stage 4 to follow. 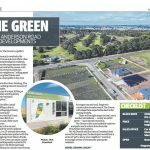 Did you catch The Green Winchelsea in the weekend’s Herald Sun property pages? 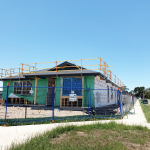 The stunning community offers the perfect intersection of country, city and coast with all lots a minimum of 1000m2. 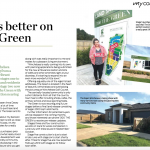 “We really wanted to live the country lifestyle that The Green offers, but having the added benefit of the great location being just 20 minutes from Geelong, making moving to Winchelsea an easy decision.” Welcome to the community, Angus family!